This is why I resigned and left Harvest in 2017. The level of deciet and lack of integrity at the highest levels of leadership sickened me. I spoke to Pastors and Elders about these very things, and it was ignored. So glad to see the truth exposed. I pray for healing and the future of HBC without The Mob boss. You are such a man of integrity, Jim. When you left, I knew something must be off. Thank you for speaking out when it would have been much easier to stay quiet. While you may be right about some of that Jim, are you so sure you are above reproach? Were you ever authoritarian?See Matthew 7:3, Proverbs 18:17 as well as the verses in Concerned comments below. And when the mediator you chose told you, “you rushed to judgement didn’t you ignore it? Some of this abuse took place while I was grieving the loss of a loved one. My reply accidentally got into the next one. It was for you Jim. I tried to be gentle. An accusation hardens the heart but a ? pricks the conscience. Hogs go to market and Pigs get slaughtered! When is this all going to end? It’s time to bring integrity back, well wait a minute from all I have read I don’t think integrity was ever at the top level of Harvest to begin with. You can’t restore what we never there before, it’s time say no more and bring in the bull dozers. Stop tithing to Harvest and stop sending money to WITW! You’re just lining JMacs pockets. So sad! Why wouldn’t ECFA have noticed these issues? Wouldn’t the ECFA looked at things like this? ECFA is also questionable in its integrity. It’s time for the MacDonalds to step down, along with the Elders. The fact that all this happened for so long in full view, with elders either supporting or ignoring it, disqualifies all of them. The only way forward for Harvest is to repent, for all those involved to resign, and for the congregation to reconstitute itself with a structure of accountability and a new start under God-fearing and God-honoring leadership. May I inquire, if you are calling on James Macdonald to repent why does he also need to resign? Wouldn’t church discipline simply desire the repentance? He’s a pastor, he is held to a different standard to remain a pastor. He can repent and be welcomed back as a regular church member, but completely disqualified from leading a church. 1 Timothy 3: 1-7, Titus 1: 5-9. “Concerned” Please explain Philippians 1:15-18. Please prove that Pastor James corrupted the Gospel and taught heresy. Don, several years ago at a meeting of Harvest men called by Pastor James, he told us that he wanted to include T. D. Jakes among gatherings of Christian leaders. At the same time he ADMITTED TO US that T. D. had not yet embraced the concept of the Trinity; rather, James was excited that T. D. was in his opinion coming closer to abandoning modalism (by the way, modalism rejects Trinitarian doctrine and is, therefore, heresy). He admitted to us that the Elders were divided as to whether or not to include T. D., but that he was going to move forward with the inclusion of T. D. as a ‘Christian leader.’ To hold a modalist up to the Body of Christ as a Christian, while admitting that the man did not believe in the Trinity, was itself heresy. I knew then and there that I could not continue attending where leadership was heretical. That is descriptive but by no means PRESCRIPTIVE. Incredibly important distinction needled in understanding any text, and especially the bible. Paul was talking in terms of people that were targeting him and trying to discredit him personally. Go back and read that again from the beginning. Paul would in no way be ok with a pastor preaching to deceive and take advantage of his whole congregation. That’s why there are so many verses on instruction of the qualifications of elders, how to deal with wayward men of God! James MacDonald would be fired in any other church, business, organization, or public sector job. not entirely true…he would do well as a democratic senator! he would also do exceedingly well as a republican senator! James MacDonald is not qualified to be a pastor. I can’t imagine he’s qualified to be entrusted with any kind of responsibility whatsoever. He is not trustworthy. In 2011 evidence pointed to the mismanagement of HBC’s finances forcing the church into more debt and has continued to do so, without repentance. With him being on the Elder board there wasn’t much they could do to control the situation. I thought all monies collected needed to be earmarked for its intended use and has to be used for that use only. Harvest / MacDonald / Elders = Thieves, Liars, Backstabbers, Frauds, Sons of Satan, Conspirators, Criminals, Pigs, Limp-wristed Wolves. Do you allow your venture capital partners and investors to be defrauded and lied to and scammed (as stated above) in the same manner as the church flock you pretend to oversee? Didn’t think so. Just the people and donors of Harvest are permitted to be financially raped and pillaged? “A mob/criminal organization.” Even the *insiders* call it this. Did you smile when you read that? You “oversee” that; you know what that makes *you,* right? Give up the “Peacemaking” total BS scam. Resign. Repent. Get saved. And recuse yourself from any church leadership role ever again. We were 12-year members at Harvest Bible Chapel, Niles Campus. We know (and love) Jim Rowan, who has commented here. Like many others, we were highly motivated by the vision & mission Harvest Bible Fellowship and gave generously to it. That James MacDonald treated HBF funds as his own piggy bank is outrageous, regardless of whether he can be prosecuted for crimes under the law. I believe there is precedent for a class-action lawsuit for this kind of misappropriation of funds. We would gladly join such a suit. Let’s also remember that James used at least $200,000 from Walk in the Word funds to start and maintain a white-tail deer herd on the Camp Harvest property in Michigan. Moreover, this is the same man who is largely responsible for the nearly $70 million in debt that HBC took on (which now stands at ~$40 million). James MacDonald, his sons Luke & Landon, ALL of the current HBC Elders, and the member of the Executive Leadership Team MUST resign NOW. Absolutely and perhaps Feds need to be involved here as well. didnt Paul reprimand the Corinthians for taking their issues to secular courts? I remember this pastor dude always preachin bout “secret sins”. Perhaps he’s losin his cabbage or his eggs are boilin. Enough. So sick bout readin his frowlicks. The dude should not pastor anymore. Perhaps we should start prayin for him to be born again. All those preachin messages I listened to. All those books I read. The dude is a phony. Like a three dollar bill. Did anyone find out the truth to why Stowell left preachin & pastorin there?? I want to write something about being unfaithful with little and being unfaithful with much, but I’m preaching to the choir. All of this is just the tip of the iceberg. If you really knew how much money the MacDonald mob family and their inner circle fixers and bag men and elders have siphoned off over **’the decades ** it would literally blow your mind. Satan himself could not have orchestrated a better theft. May God have mercy on all of their souls. You are so right! The deeper you get into the “inside circle” of James MacDonald, the sicker you see it is. The things that Julie has reported are NOT EVEN CLOSE to the WORST! I’ve seen and heard so much worse! James is a complete FRAUD! He is mean, vindictive, vulgar, petty, greedy, violent, angry, unloving, unforgiving…the list goes on and on! He lies so often, he doesn’t even know the truth anymore! The best and only option for HBC is for ALL of the MacDonalds to be run out of town! And the Executive Committee Elders and XLT needs to follow them! HBC must be broken up into separate independent churches with local pastors and elders. They must open up ALL of the records and confess ALL of the sins! Perhaps a book, a cautionary tale is in order? To the Harvest insiders on this site: If you have direct knowledge of criminal activity and eyewitness accounts you have a duty to report this to the police. The FBI has already been notified. The more people that notify the authorities the more eyebrows will be raised and an investigation can begin. Nothing furthers the kingdom more than using Walk in the Word donations to buy a herd of white-tail deer and charge folks to kill them. He has slandered and defamed the name of Christ publicly. Call him out.. No condemnation necessary Christian brothers and sisters.. The truth will do all of the Condemning work for us..
FIGHT BACK.. FINISH THE RACE..
Mancow Mueller just announced that James, Luke, Landon and Rick Donald are all gone and this will be announced this coming weekend? I do not believe it. Controlling narcissistic people do not walk away – they might pretend to walk away, but this is just unbelievable so far. They are partially responsible for the debt. They can’t just freely walk away. L and L might have been blind to their dad’s faults but Rick Donald was his right hand man from the start and is responsible as James MacD. Shouldn’t he have been confronting him? I wonder if Harvest leadership will blame Julie Roys and others? There are smaller churches that operate just like the larger ones. Particularly in the African American Community where vast networks of Churches have only one individual who controls EVERYTHING and virtually EVERYONE. And he is called PASTOR. I know. I belong to one. I was going to ask a coworker who is an elder about this mess, but saw he was on the list of backing JM…..
Ok I’ve sounded on this before and I will keep saying it. Some of you are getting closer to how bad this really is but so far only Randy Williams has hit the nail on the head. You guys are saying this is only the tip of the iceberg and you are correct. Again, let me be very clear. Harvest is NOT a church. It is a CULT. Yes, that is what I said. It is a CULT. I know that is hard to accept especially for some of us that have been committed for years. I strongly suggest you guys go back and read the Elephant’s Debt post titled “deer in the headlights or divided board? Pay attention the the comment raised about Harvest being a cult. I was sucked into a cult in my early 20’s at the lowest part of my life. The first symptom you will discover once you’ve been been “deprogrammed” by the truth (Julie Roys you have no idea how many people are being spared by your work and thank you!) is complete shock and denial. Why is that? Well nobody can believe that it could happen to THEM! It’s very important to TALK about it in order to recover. Yes even people at Niles have been brainwashed. Again read the post I mentioned above and research it with cult experts/FBI and piece it together. Start to think ON YOUR OWN, CRITICALLY. You are right on, except. Except Randy Williams was and for very long time a part of the cult, a propagator of the cult. Randy Williams was one of the most gullible goons of guru MacDonald and only recently woke up and pierced his slimy cocoon. Now, what we really need is the same happening with Jeff Smith, the purse holder and overseer of all financial and sinister maleficence of MacDonald clan Inc.
Incredibly sad… I literally feel sick with the revelation about HBC.and fellowship.. Just another indication how satan works to deceive and destroy….. this is the time and season we are living in… we must use great wisdom and discernment ….. and pray for the Holy Spirit to be at work within ourselves and our churches…. what appears to be definitely missing in JM is the fruit of the spirit…. we should definitely see these qualities in our church leadership and if it is not present something is wrong…..
May God guide this fellowship and church on the road ahead and may Christ be exalted in all people as you seek a new road and path forward for the sake of the ONE who laid down his life for each one of us…. Mike Collett and every other fake Harvest elder must also immediately resign. This THREE DECADE OLD con, heist, and absolute sh*tshow did not happen in a vacuum. Each and every one of them are either guilty of the gross support-MacDonald sin of commission, or omission. Doesn’t matter, each is a gross immorality. They gotta go. Now. MacDonald & His Departing Little Band of Thieves must be prevented from setting up a new con and grift shop somewhere else. They have done more than enough damage to Christ’s Kingdom. This must end here. Wow! Don ERacer…..you need to go back and look at all the scripture you have been posting and read it in context. Please stop using God’s Word to fit your views and thought life. You have pointed the finger at many people in a negative and condescending way. Please focus on God and realize that James MacDonald is human and can fail. This is not how a biblical church should be run. God is Truth and Love. He is also the God of order and as far as I can see, none of these things are happening within the leadership. It breaks my heart. I compare the Harvest collapse to the terrorist attack on the Twin Towers in New York. Everyone saw the planes fly through the two towers, which left a gapping and glaring hole. If you recall, the towers did not immediately fall after the initial hit. The hit did so much damage, slowly burning and weakening the foundations of the building. Then merely hours later, once the towers fell, they fell immediately in a cloud of dust and debris that could be seen from miles away. You may also recall that there were also smaller surrounding buildings that also collapsed as a result of the attack. Even though they were not “directly” hit by the planes, they were victim of collateral and irreparable damage. So, where are the parallels with the Twin Towers terrorist attack and the Harvest Bible Chapel debacle? The initial “hit” to Harvest Bible Chapel that has left a gapping and glaring hole has been the exposure of hypocrisy, fraud, bullying, lack of transparency, authoritarian leadership and fiscal mismanagement of James MacDonald, elders, pastors and leadership. Much of this “hit” has been a result of the ongoing reporting by the Elephant’s Debt and more recently by Julie Roys. Just as the twin towers instantly fell down in a matter of seconds after burning and weakening the foundations for a number of hours, so will the organization called Harvest Bible Chapel. Harvest will fall and collapse under its’ own weight of lies, deceit, fraud and debt. 2. Removal of key pastors, elders and leaders that have been and continue to be complicit in this scandal. 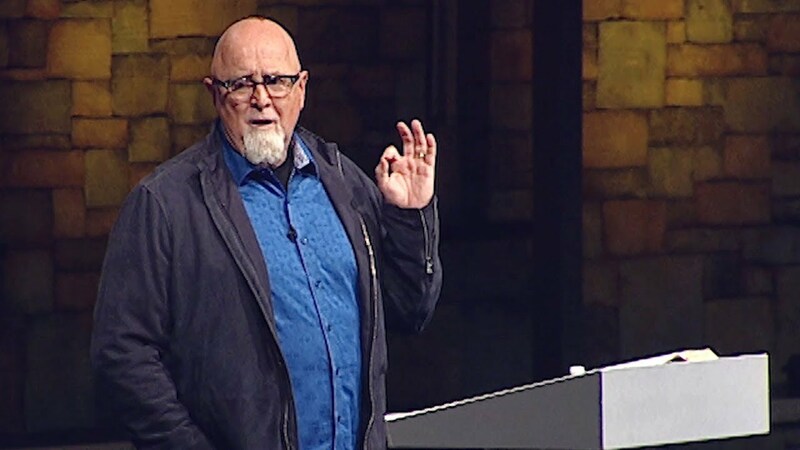 Specifically, all pastors and elders that pledged unequivocal loyalty and allegiance to James MacDonald should either make the right decision and “Resign” or be “Removed”. If they fall into this category, they have either sinned by “commission” or “omission” or both. Either way, there is no path for them to remain in any type of leadership position at Harvest. 3. New Elder Board and Leadership. Let’s wipe the slate clean in an orderly fashion. All current elders, in a systematic and orderly fashion begin to roll off the elder board. We can no longer have elders that have been complicit in action or silence remain on the board. New elders need to be in place and will have voting power. Existing elders that will be rolling off can serve only to provide any history or information for the new elder board. They would have no authority in future decision-making. All existing campus pastors and key leaders need to be re-vetted if they are found worthy to remain in a pastoral or leadership position. Any pastor or leader found to be actively complicit in the deceit, fraud and financial mismanagement of the current demise of Harvest Bible Chapel should be immediately dismissed with no severance compensation. 5. Complete transparency of the budget. No more “Black Budgets” and “Pie Charts” that lack transparency or accountability. The budget, which includes all salaries, benefits, expense accounts are posted and available for the congregation to see. I would add that the elders should go back and share all the financial information and dealings of the church since its’ inception back to 1988. 6. Launch and cooperate with a full investigation. A full and complete investigation of any fraud or fiscal mismanagement should be initiated and reported to local, state or federal authorities. If it is determined that a fraud has been committed, the elders should pursue full restitution by those that have defrauded the church. There should be no concern of pursuing a lawsuit, as we have precedence to do so. I recently read an article on why it’s ok and justifiable to sue other Christians. Don, why are you choosing to be quarrelsome? You yourself apologized to Julie for your words, asked her forgiveness and said you would repent. What if it is not Julie, yet the LORD and the HOLY SPIRIT who are exposing this matter so that Pastor James and Harvest can repent? It’s perhaps the Lord’s great mercy being shown to James that he may yet repent of the deep-seated fear and pride that has caused this mess…a chance for Mercy before judgement. When I happened to sit by Pastor James’s tanks at a restaurant this past summer, I sought God’s voice on what to pray, and it was that James would repent of his pride. Through Ezekiel, the Lord called out the great corruption happening in Israel. The Lord would judge there. But He also said that He would make a covenant with His human sheep in of His pasture. (Ez 34:25, 31) and to restore the Valley of Dry Bones that was the House of Israel. The Father’s mercy is not beyond fat sheep. Or Dry Bones.